exchanger body cut-out, no nose grab irons, no rear ladder & no side numbers or coat of arms. no staff exchanger body cut-out, no nose grab irons & no rear ladder. staff exchanger body cut-out, nose grab irons fitted & rear ladder fitted. 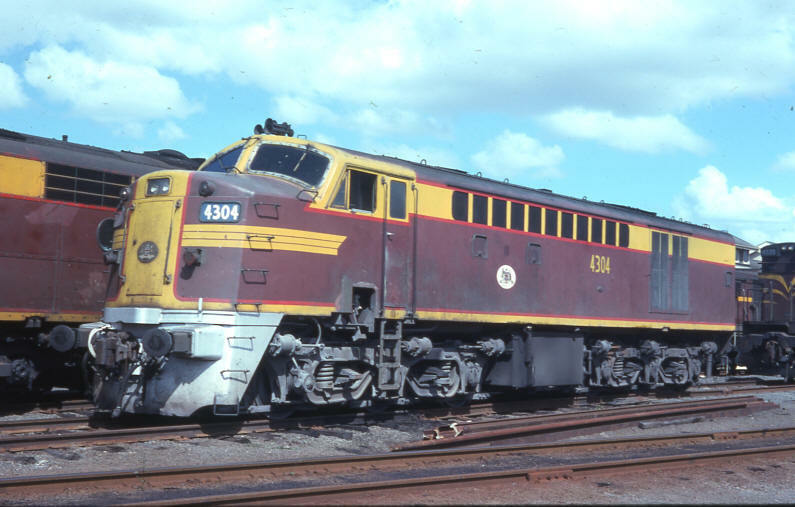 In the early days following their introduction the new locomotives were often seen hauling the Central West and Intercapital Daylight Express trains as well as the Melbourne Limited, Brisbane Limited, Brisbane Express and Newcastle Flyer services. Between these passenger train rosters, the class was also utilised hauling freight. 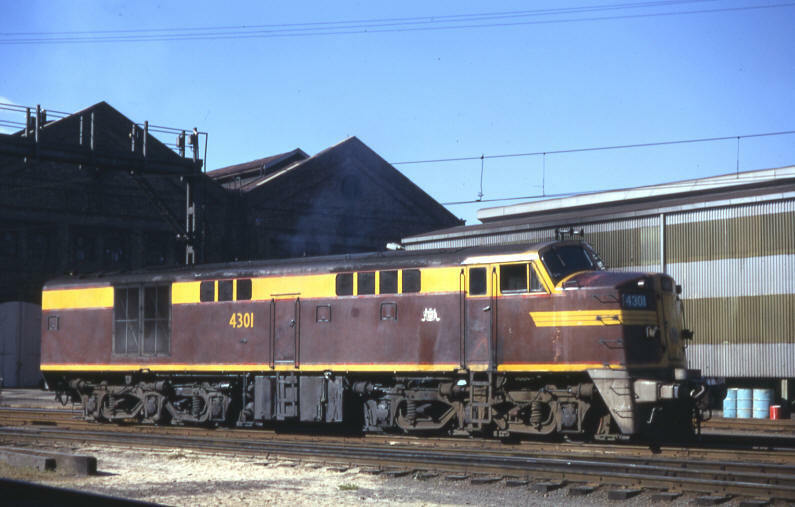 Shortly after commencement of deliveries of the higher powered 44 class in July 1957 the 43 class started to get rostered on less important roles. Although still seen in other areas of the state, often the class were rostered on North Coast workings, where train length and not train weight was a major operational consideration. 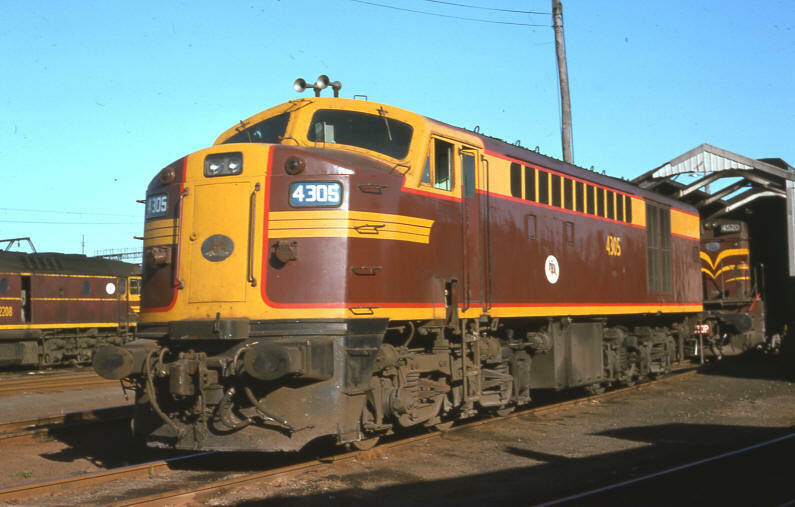 Here they were regularly seen, often in pairs, working the Brisbane Limited as well as frequently hauling the Brisbane Express and the North Coast Daylight Express. During August and September 1967 the class were transferred from Delec to Broadmeadow to replace withdrawn 35 and 36 class steam locomotives. 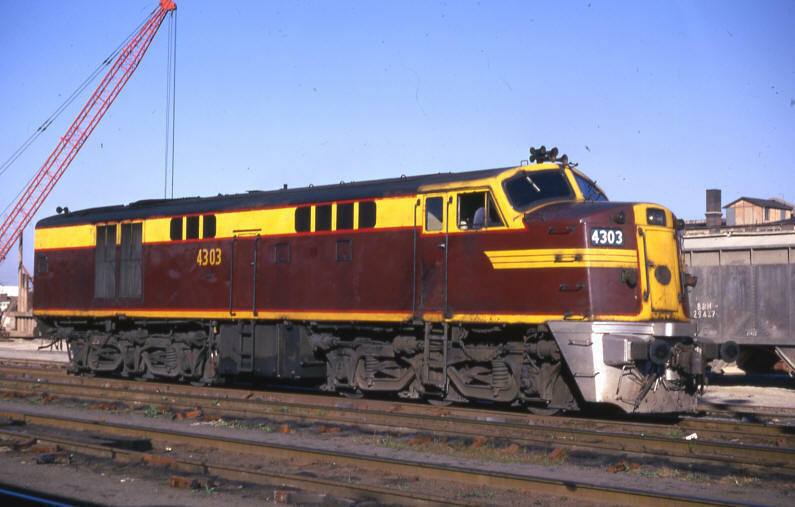 For the rest of their career the class mainly operated to the north of Sydney on various passenger and freight rosters, although they did get the occasional working on the Main South and, rarely, on the Illawarra. Initially a reliable class, over time in service failures, issues with fumes in the cab and shortcomings in their design became a problem in keeping them operational. After a short 17 year career, in August 1974 class leader 4301 became the first to be withdrawn following its failure at Harden. Whilst it was conveyed to Chullora for repairs, these were never carried out and it was subsequently sold for scrap. During 1976 units 4302 (January) and 4305 (September) were withdrawn, followed in 1977 by 4304 (August) and 4303 (November). 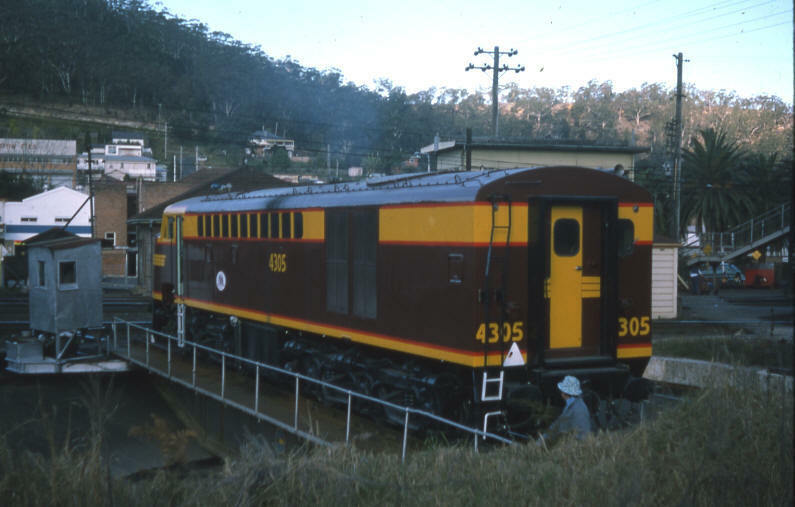 In December 1977 the sole remaining unit 4306 was relegated to trailing unit only status and, apart from a brief two week period in July/August 1978, remained in service under this guise until its withdrawal in October 1979. Shortly after 4306 was delivered to the Rail Transport Museum at Thirlmere where it was placed on display for a number of years before being restored and returned to tourist service in 1996. Over the years very few external modifications were carried out to the class. Initially fitted with radiator shutters, these were removed early in their career. Around 1970 grab irons were fitted to the front and rear of the locomotive as well as a roof access ladder on the rear end. During the early 1970s the underbody style staff exchanger was removed. Later, the equipment was re-installed but in a cut in cavity in the carbody side below the drivers side window. Although delivered with five chime whistles, this was later reduced to two on 4301, 4305 and 4306. Although the paint scheme applied to the 43 class has remained fairly constant over the years some livery variations have occurred. The class were initially painted in Special Maroon, this changing to Indian Red in subsequent repaints. The pilot was also initially painted Special Maroon, however subsequent repaints had silver or black applied. When delivered the class were devoid of painted side numbers, these being added later. Coat of Arms emblems where not a feature of the initial scheme, the clear background type being added during the 1960s and the white background type added to all bar 4301 and 4302 in the early 1970s. Curiously, 4303 has the coat of arms on just the drivers side. Over the years a number of different variations to the paint scheme as well as stripes have been applied to the rear end.